*Please continue to check this post for updates. We will continue to post updates as they become available. 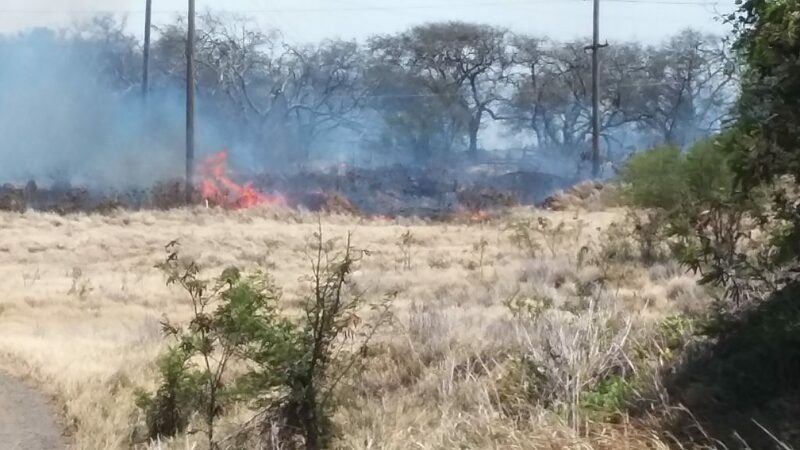 The brush fire that started in Māʻalaea at 12:33 p.m. on Saturday, July 2, 2016, is about 30% contained. 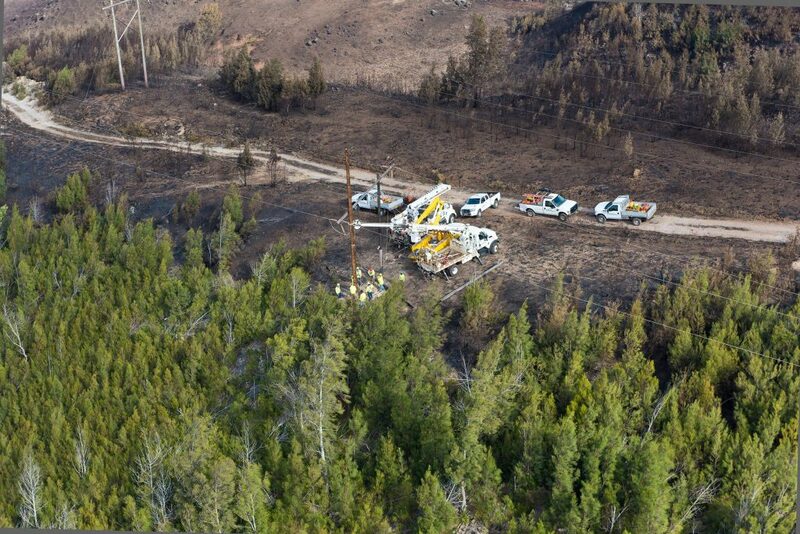 The total acreage burned has been revised down to be around 4,700 acres. 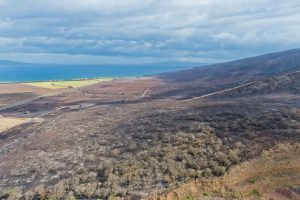 Today, about two dozen Maui firefighters and a dozen firefighters from the State Forestry Division were dousing hot spots from where it began near the intersections of Kūihelani Highway and Honoapiʻilani Highway, to the Ukumehame area. 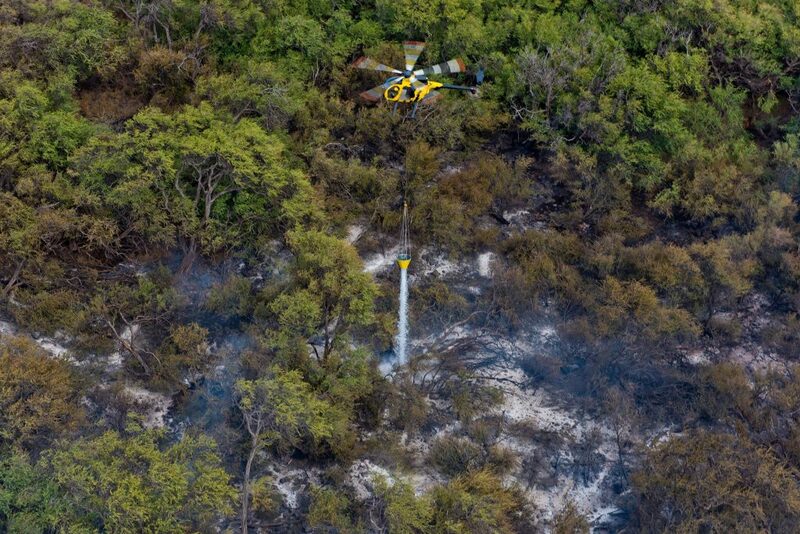 The fire department helicopter and two additional contracted helicopters assisted ground crews with water drops around the perimeter of the fire, while a bulldozer from Goodfellow Brothers Construction cut fire breaks in problem areas. 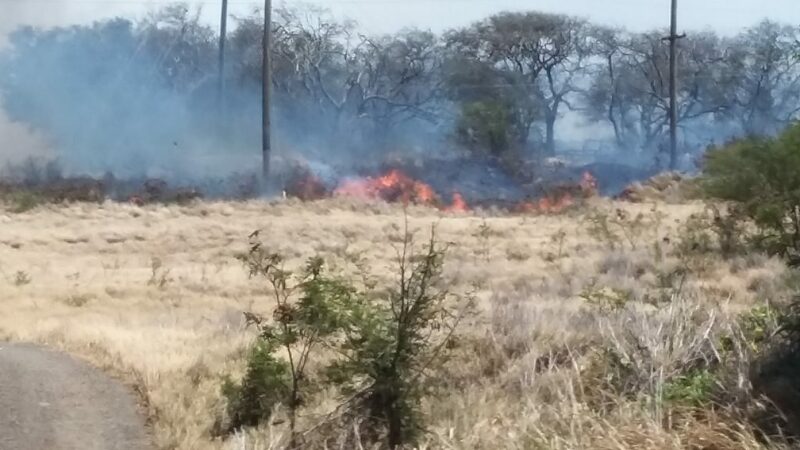 Maui Fire Services Chief Edward Taomoto said the main area of concern is a heavily wooded area of large kiawe trees near the Ukumehame Firing Range that has been flaring up periodically throughout the day. 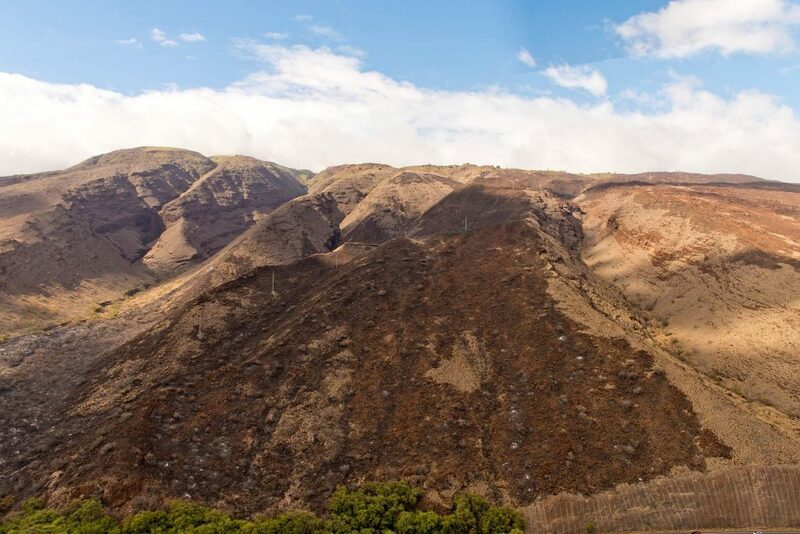 “There are smoldering kiawe trees well into the burned out areas that firefighters are going to let burn itself out. Our focus is on making sure the perimeters are completely out,” said Taomoto. 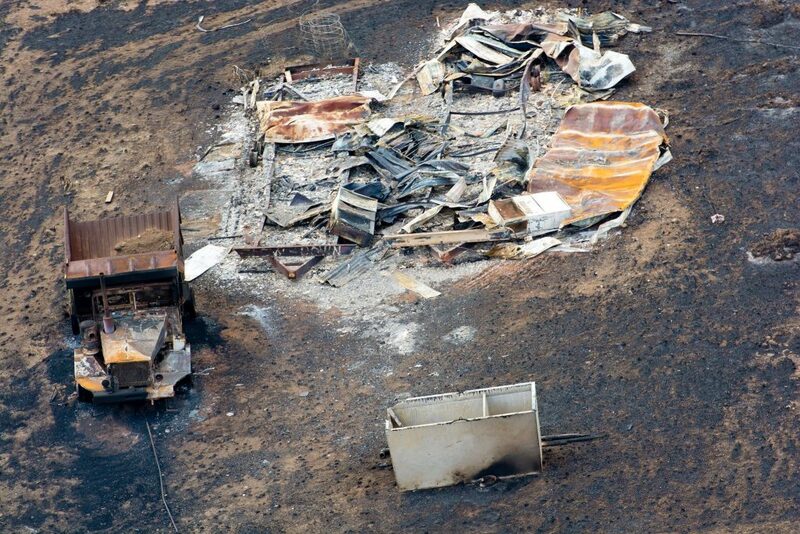 There were some construction vehicles and mobile office trailers that sustained damage from the fire but no monetary damage estimates are available at this time. 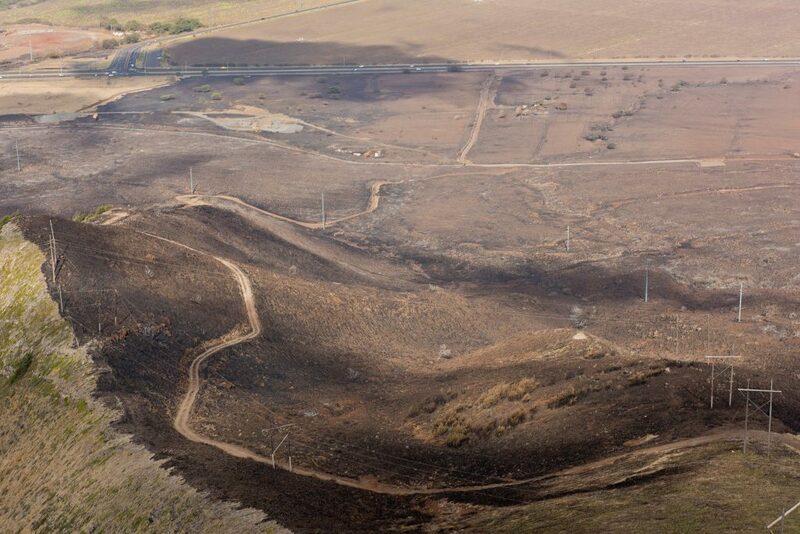 According to MFS Chief Taomoto, Communication utility lines near Māʻalaea Harbor appear to have been damaged by flames when the fire raced through the area by strong winds. No homes were damaged. 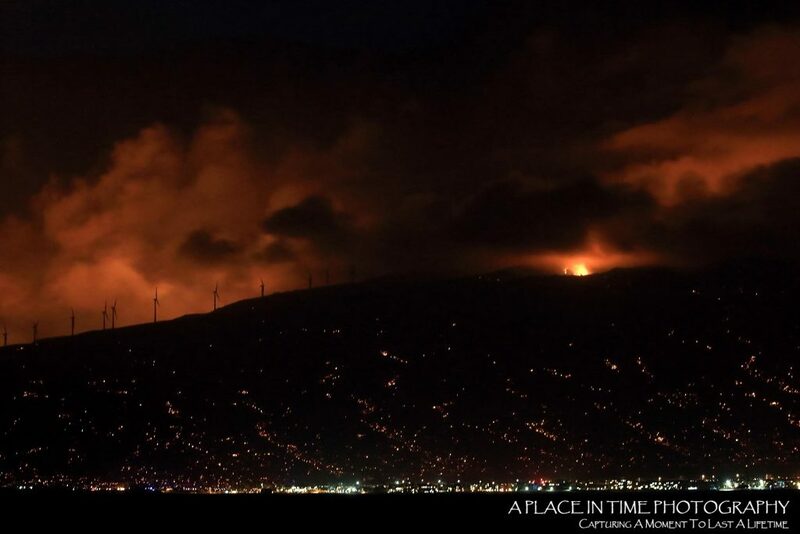 Around 14 firefighters remained at the scene Saturday night monitoring the area, and about nine firefighters will be keeping watch of the area tonight. 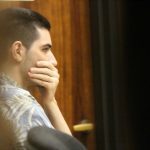 Shelters at the Lahaina Civic Center and the War Memorial Gym in Wailuku, were opened at 6 p.m. Saturday, by the Red Cross, for tourists and Maui residents stranded on either side of the island by the road closures. 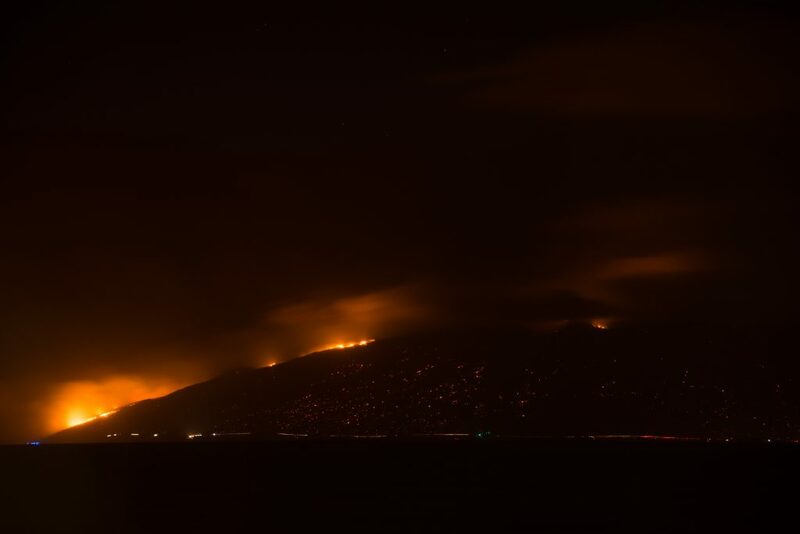 Fire officials say all roads have been opened since around 11 p.m. Saturday night and are anticipated to remain open Sunday night so long as no significant flare ups occur. 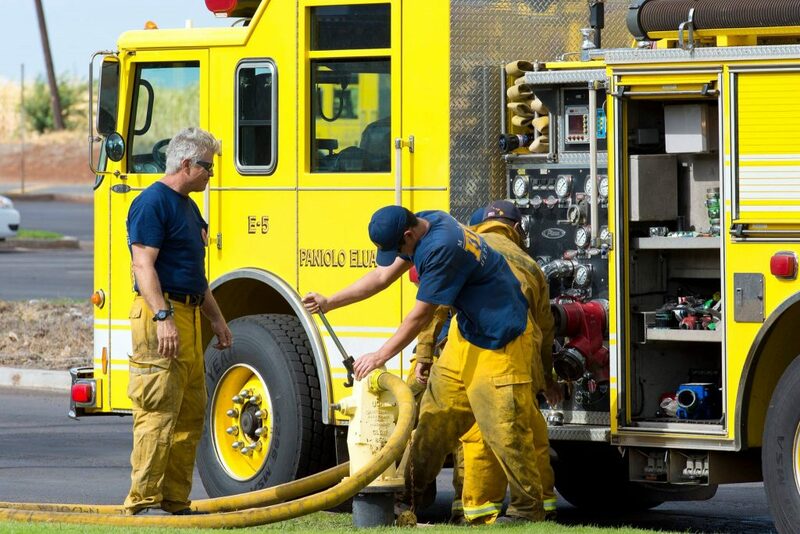 The Maui Fire Department thanked the public for their patience Saturday, while the road closures were in effect. “Safety of the public and for firefighters working on the fire scene is always our top priority,” department officials said. 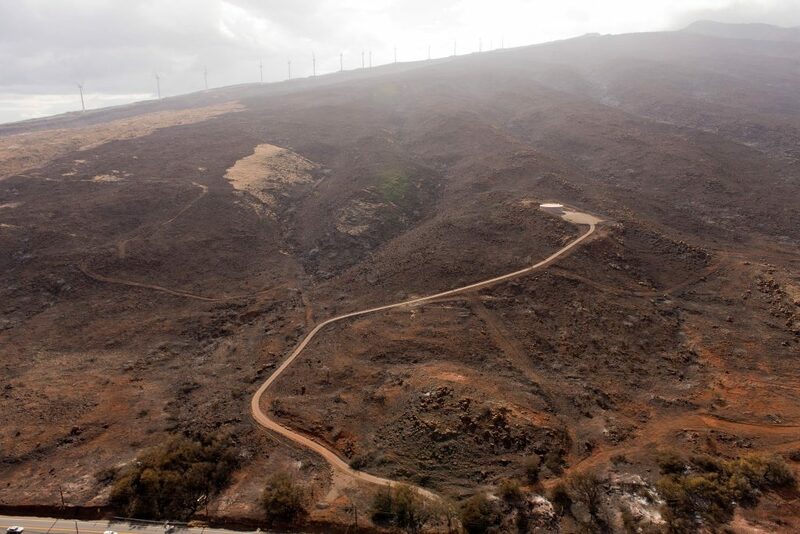 Firefighters who responded to the 12:33 p.m. alarm Saturday afternoon, were called to the area for a possible flare up from a previous brush fire that occurred at 1:24 a.m. earlier Saturday morning. 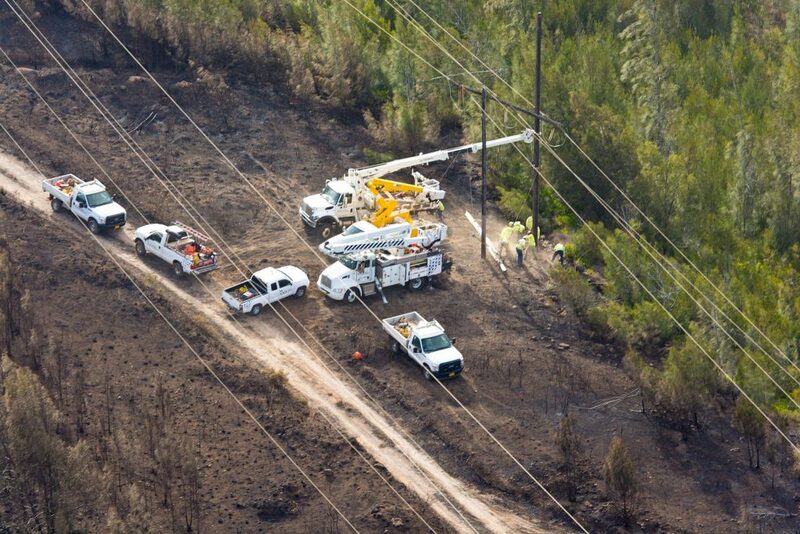 Although the original fire involved electrical power lines on the ground in the half-acre burned out area, it remains unclear whether the downed power line had anything to do with what started the fire, officials said. 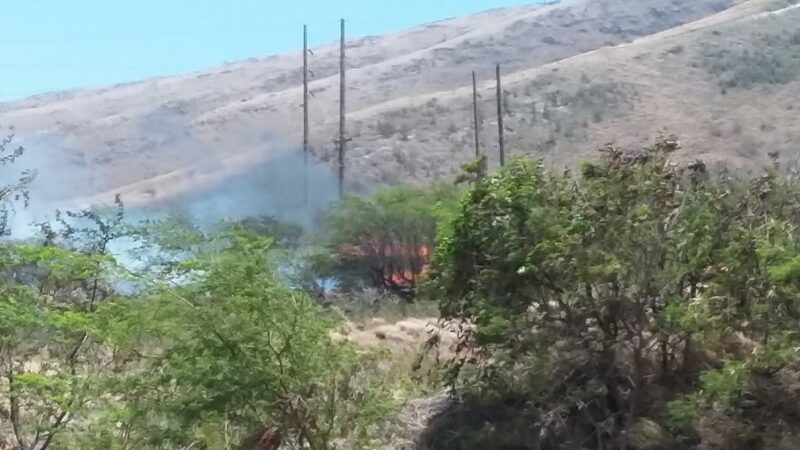 The exact cause of the brush fire is still being investigated. SHELTER UPDATE: 11:07 a.m. 7/3/16: The Red Cross accommodated an estimated 425 at War Memorial Gym in Wailuku and 75 at the Lahaina Civic Center on Saturday night. The organization worked in close coordination with Maui Food Bank and Maui Visitor’s Bureau to provide shelter and snacks for hundreds of stranded individuals. Continued shelter openings will be reassessed in the morning based on the status of the brush fire. 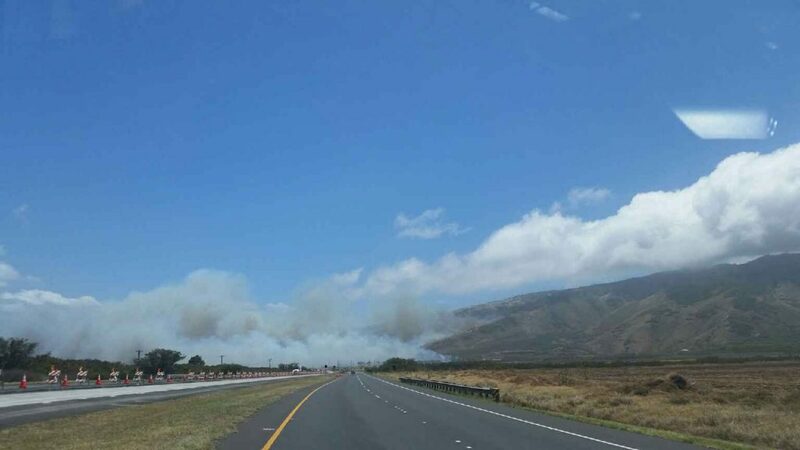 ROAD CONDITION: Update 8:30 a.m. 7/3/16: As of 8:30 a.m. on Sunday July 3, the fire is still burning between mile 11 and 12 of the Honoapiʻilani Highway. Traffic is moving past the burning area and firefighters remain on scene. Update 6:05 a.m. 7/3/16 : The Honoapiʻilani Highway has been open since 11:15 p.m. on Saturday, June 2, 2016. 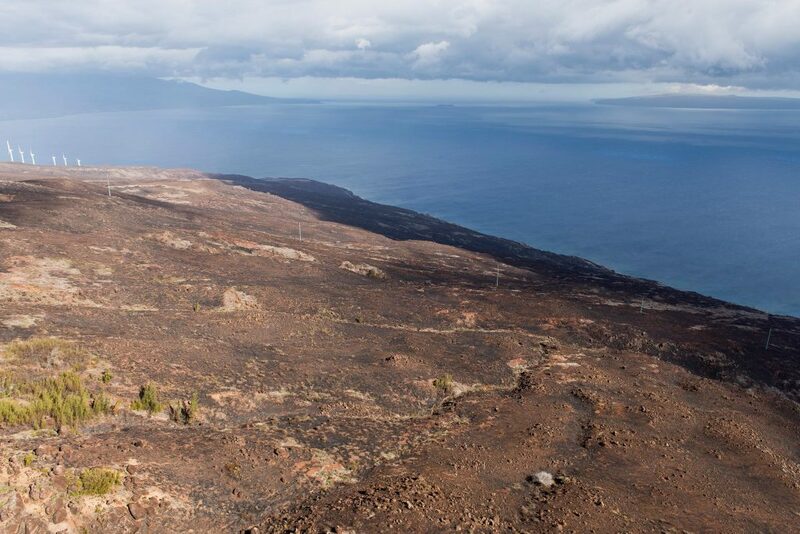 The blaze in Māʻalaea has burned an estimated 6,000 acres. 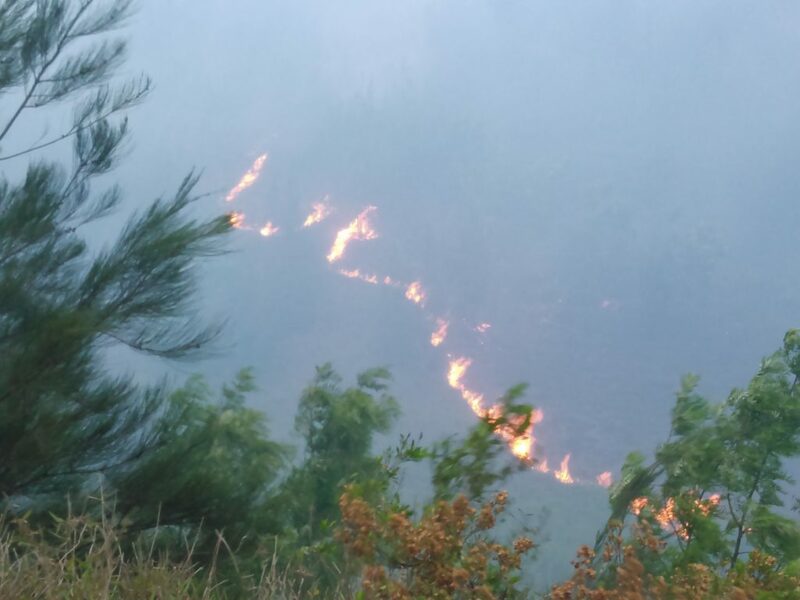 While the road is open at this time, it is subject to closure at a moment’s notice depending on weather conditions, as well as possible fire flare ups. Emergency crews continue to monitor the area. 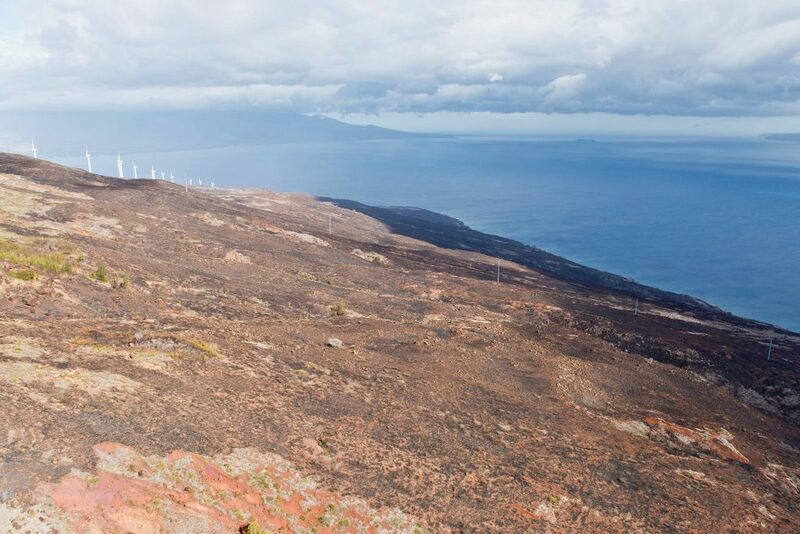 At 5:30 a.m., the National Weather Service cancelled a wind advisory that was in effect for Maui and Lānaʻi. Forecasters say that although winds have dropped to just below advisory level conditions, rather gusty winds are still expected across the islands today. 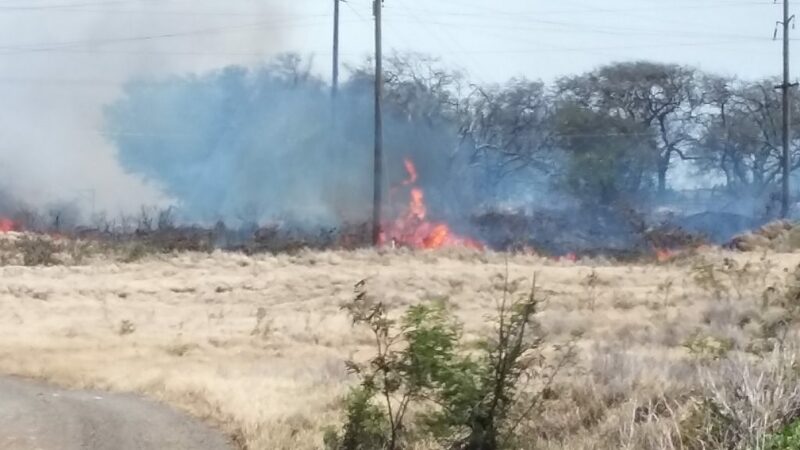 At 12:33 p.m., on Saturday July 2, 2016, firefighters responded to a report of a flare up from a brush fire that occurred mauka of the Kūihelani Highway and Honoapiʻilani Highway intersections early Saturday morning. 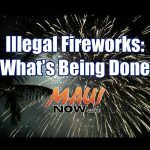 According to department reports, Wailuku firefighters arrived at 12:43 p.m. and found a 40 x 40 foot fire near where a fire occurred earlier Saturday morning at 1:24 a.m.
Maui Fire Services Chief Edward Taomoto said that fire was believed to have started from an electric power line that was laying on the ground in the burn area. 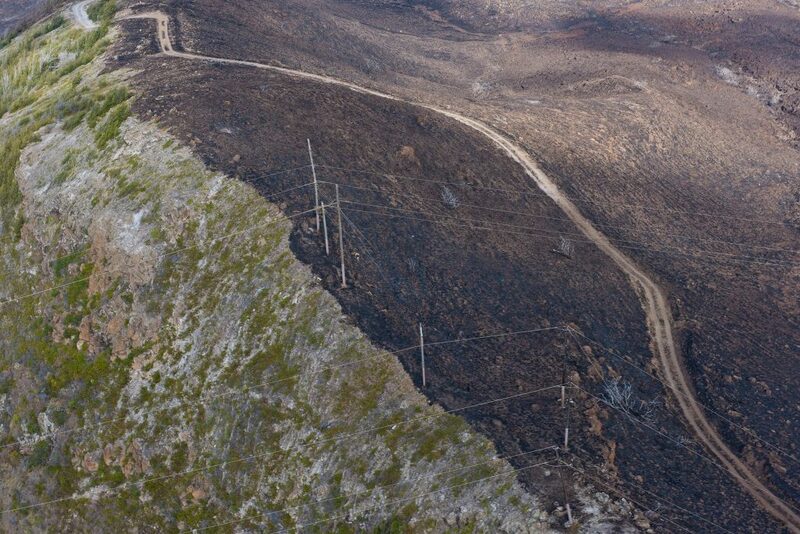 Taomoto said crews had to wait until the lines were de-energized before going to work on the fire. About a half an acre burned and was called extinguished at 3:35 a.m. 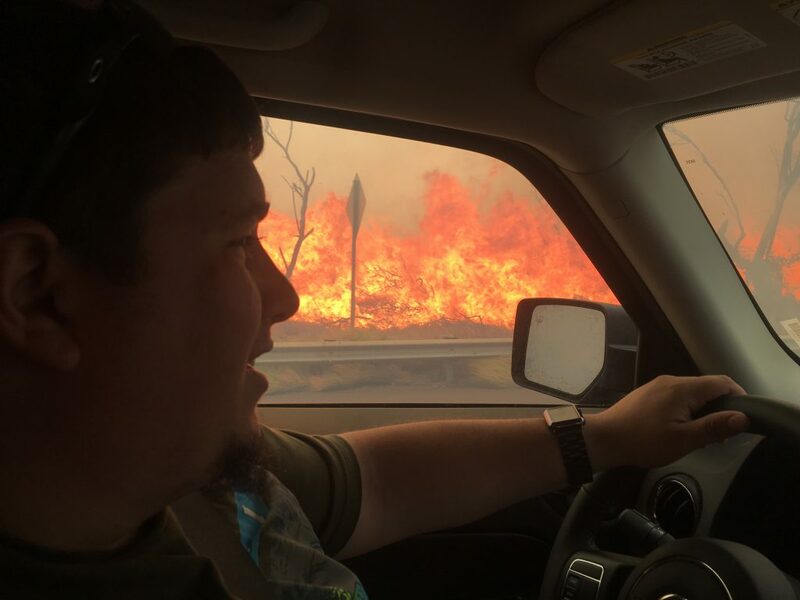 According to Taomoto, firefighters had trouble accessing a locked gate to get to the fire, and by the time they got there, trade winds of at least 40 mph got hold of it and “it just took off,” he said. “There was no way firefighters could catch it. 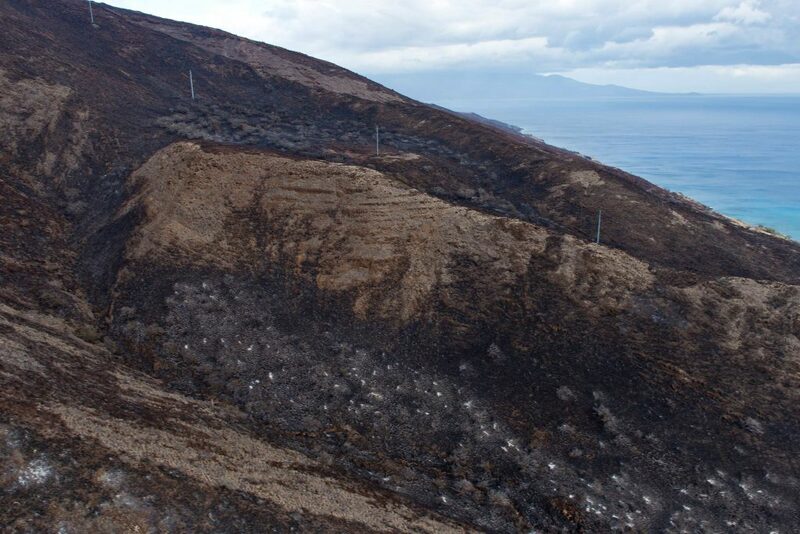 The fire raced downwind and upslope towards the West Maui mountains within minutes,” according to Taomoto. 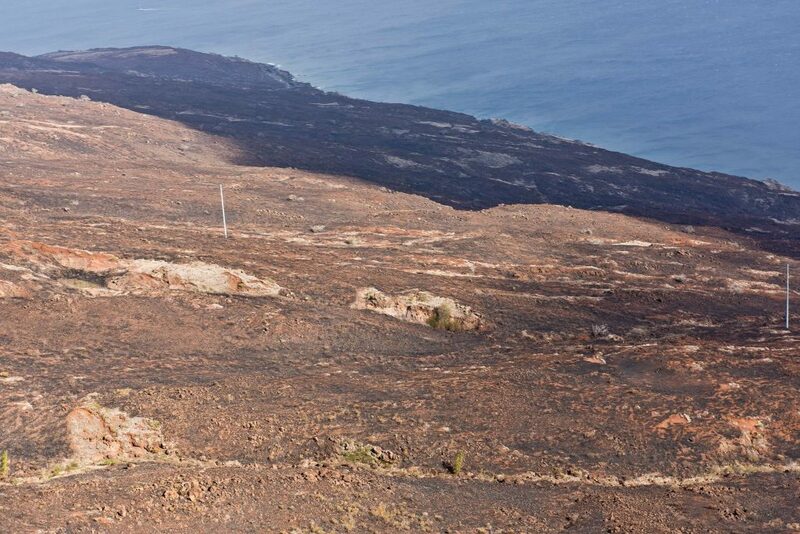 A group of hikers called in to emergency dispatchers saying they were on the Lahaina Pali Trail above the fire. Two helicopters searched for and eventually rescued six hikers from the mountain at around 2 p.m. No one was injured. 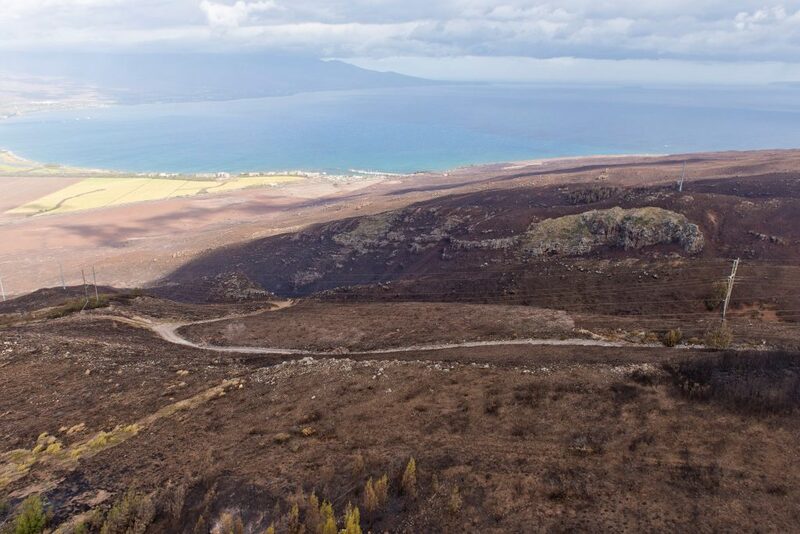 More hikers were on the Lahaina side of the trail and made it down the Lahaina side mountain on their own, according to department reports. 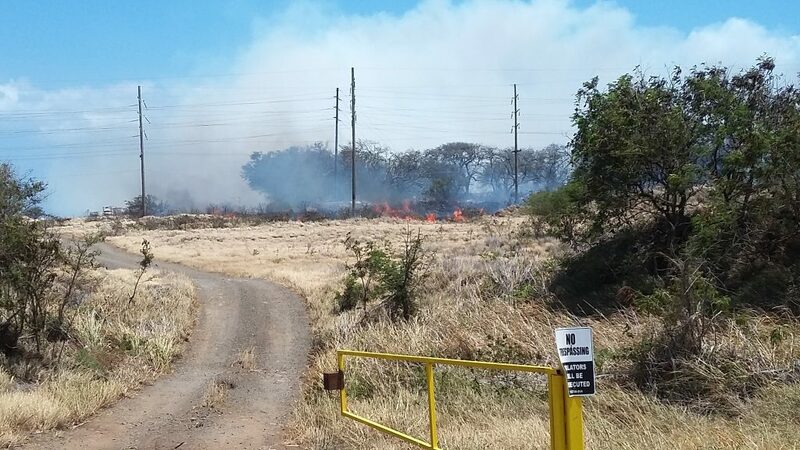 The brush fire is estimated to have burned around 6,000 acres so far from the Kūihelani Highway and Honoapiiʻilani Highway intersections, towards the south and up over the mountains towards Papalaua Wayside Park. 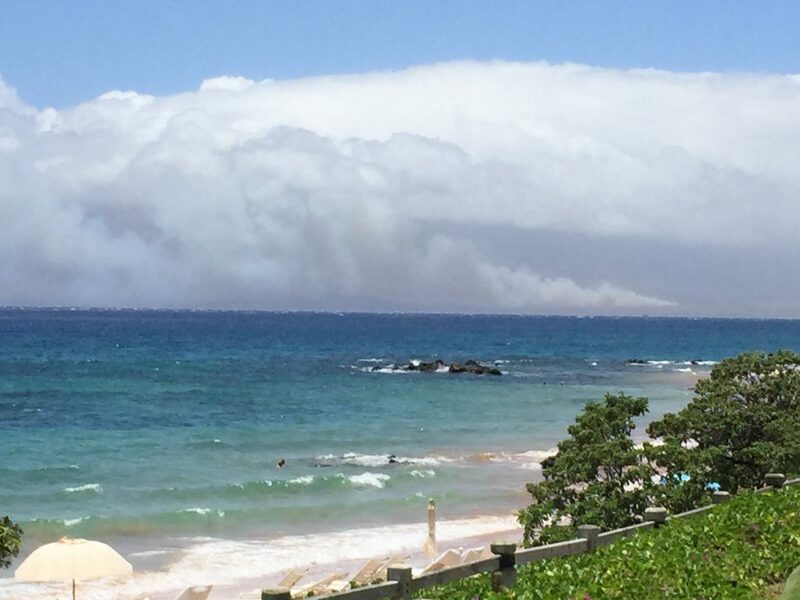 Evacuations were ordered for the Māʻalaea Shops area, including the Maui Ocean Center, and about a dozen homes on Māʻalaea Bay Place, to the south of the Harbor. 6:05 a.m. 7/3/16 Update: The Honoapiʻilani Highway has been open since 11:15 p.m. on Saturday. 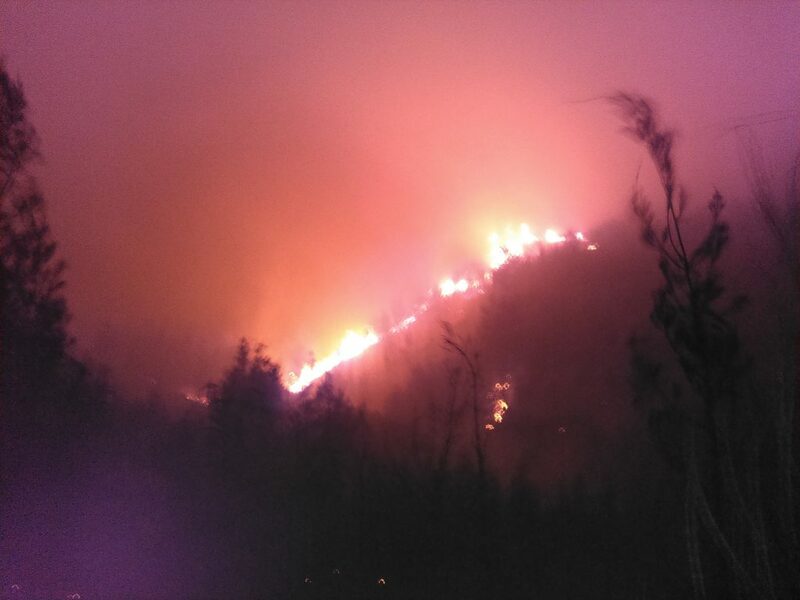 The blaze has burned an estimated 6,000 acres. While the road is open at this time, it is subject to closure at a moment’s notice depending on weather conditions, as well as possible fire flare ups. Emergency crews continue to monitor the area. 11:15 p.m.: As of 11:15 p.m. on Saturday, July 2, 2016, the Honoapiʻilani Highway was temporarily re-opened. 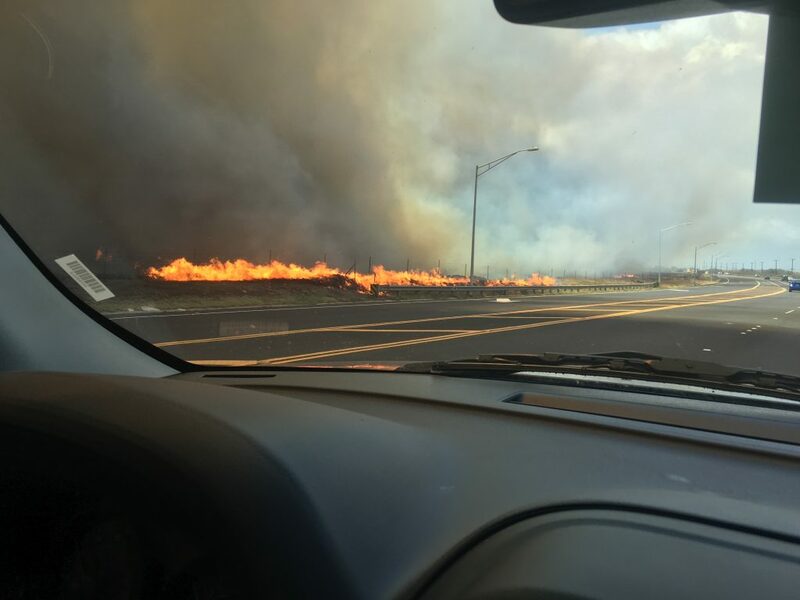 Maui police say they are letting cars through, however that could change at a moment’s notice depending on firefighting efforts. 10:48 p.m.:Still no change in status. 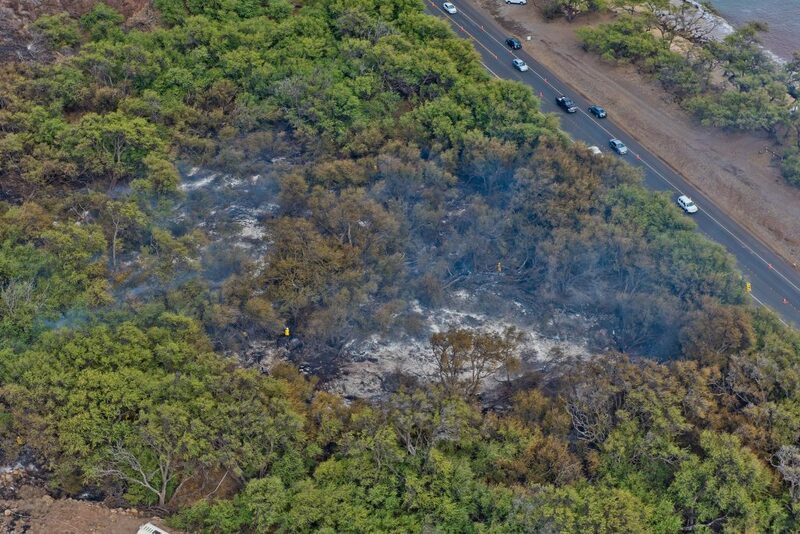 Honoapiʻilani Highway remains closed between North Kīhei Road and McGregor Point due to a fire flare up near Mile 11. 8:46 p.m.: As of 8:46 p.m., the Honoapiʻilani Highway in Māʻalaea is temporarily closed between North Kīhei Road and McGregor Point. 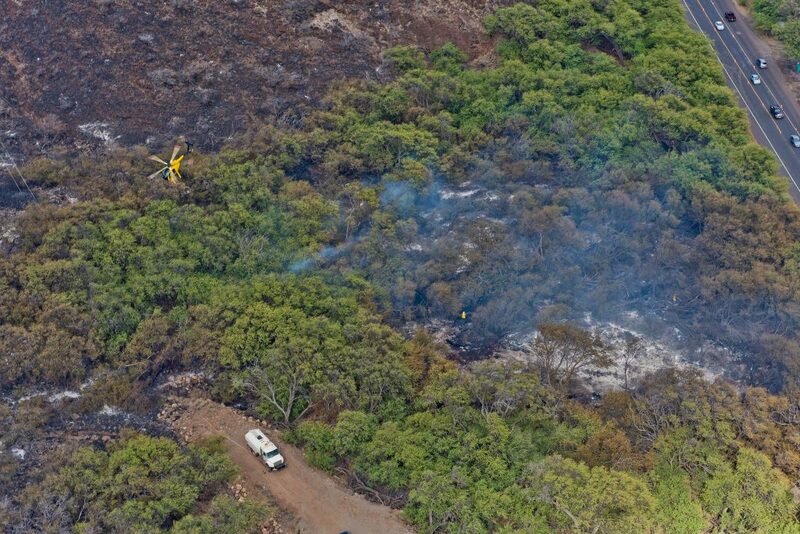 The Maui Fire Department is on scene. It is unknown how long the temporary closure will last. The road was open for about an hour and a half prior to the most recent closure. 7:19 p.m.: The Honoapiʻilani Highway is now OPEN in both directions as of 7:13 p.m. Motorists can expect significant delays as traffic resumes its normal flow. Crews remain on scene and motorists are advised that future closures may be implemented if smoke, firefighting operations or potential flareups pose any hazard to motorists. 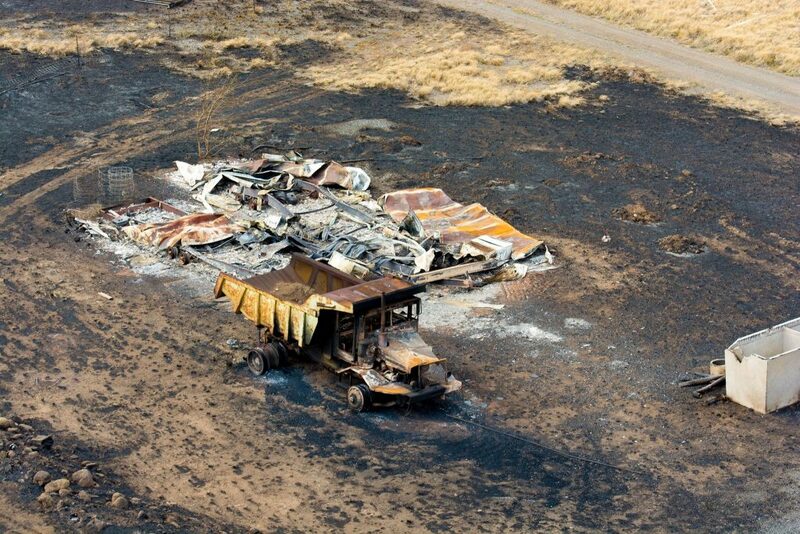 Crews plan to implement contraflows when firefighting equipment needs to be moved along the highway. 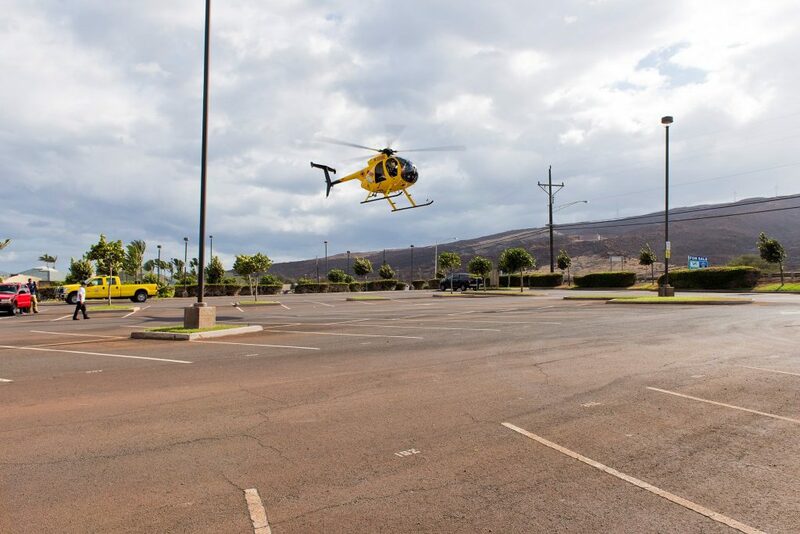 6:25 p.m.: The Red Cross has opened up shelters at the War Memorial Gym in Wailuku and the Lahaina Civic Center beginning at 6 p.m. Police say traffic around Kahakuloa will be open to a single, alternating lane. Traffic on that road is at a gridlock and motorists should note that the Kahehili Highway is a difficult one to travel, especially at night. 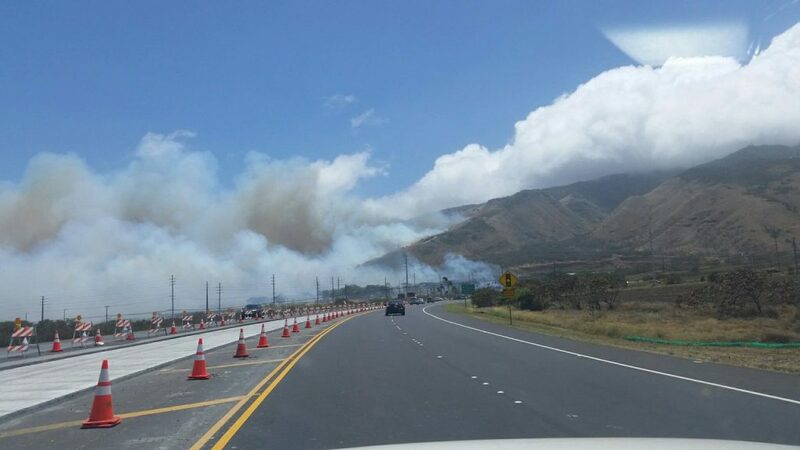 The Honoapiʻilani Highway between Kūihelani Highway and Māʻalaea Road remains completely shut down due to the fire above the highway. Police advise motorists to avoid the area until further notice. 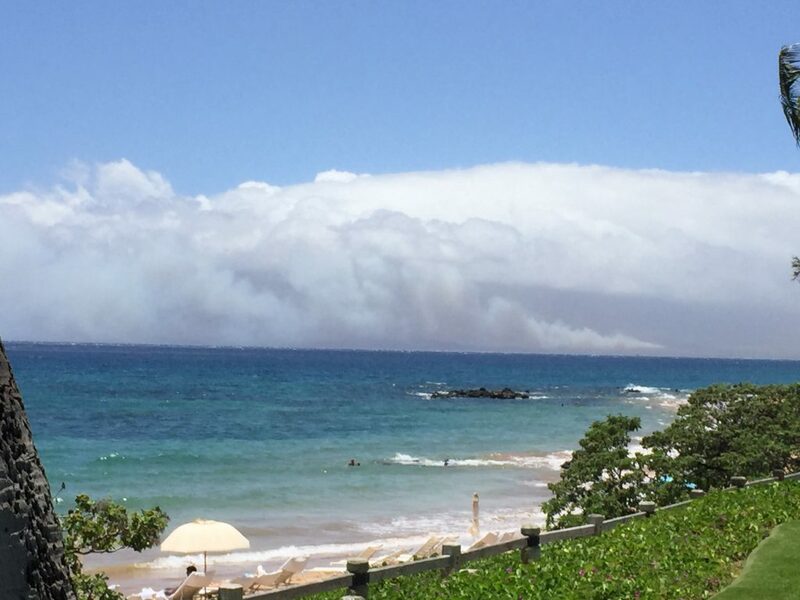 Māʻalaea residents are being evacuated as well. 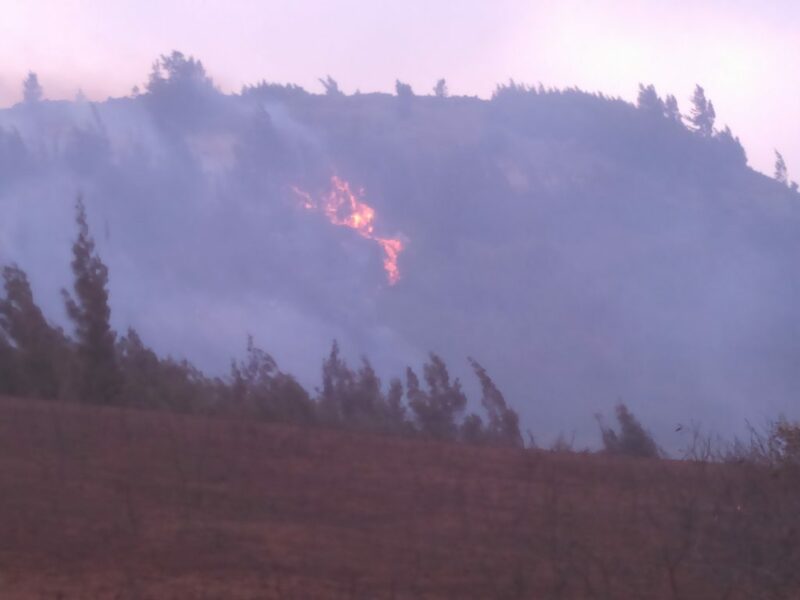 6:02 p.m.: Civil Defense is opening up two shelters while the fire is still active. The shelters are being set up at War Memorial Gym in Wailuku and at the Lahaina Civic Center in West Maui. 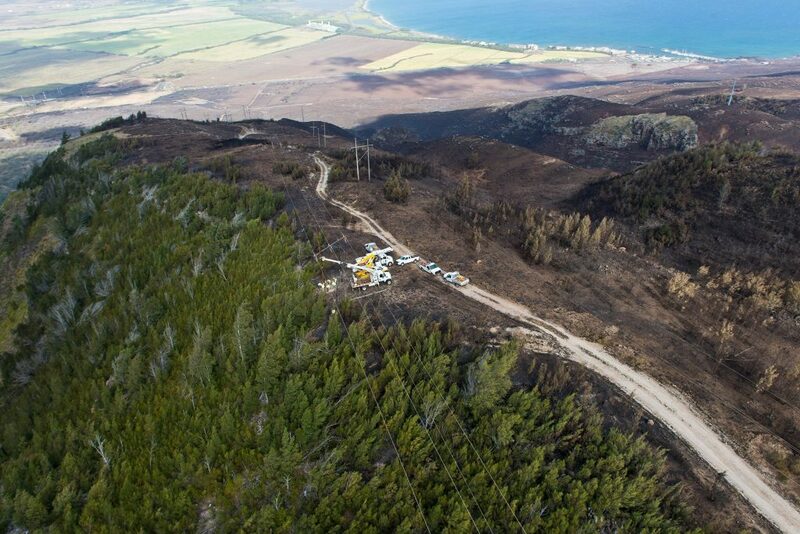 The shelters will be open at 6 p.m.
Update: 5 p.m.: Maui police tell us the Honoapiʻilani Highway road closure remains in effect and that at this time, there is no estimated time on when the road will be reopened. 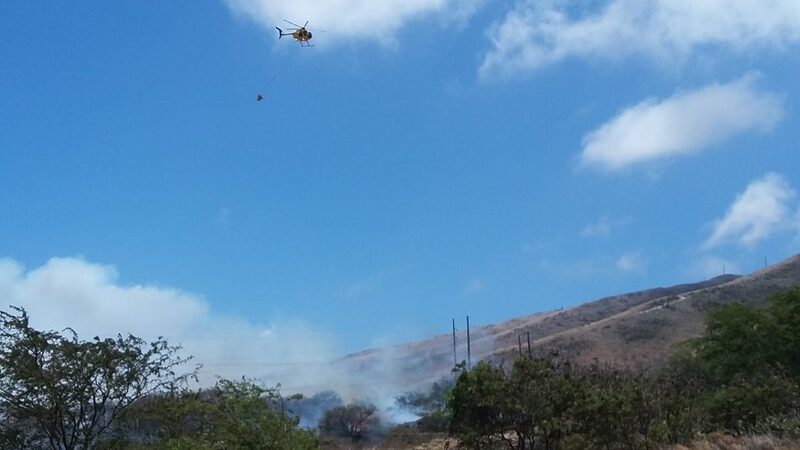 Crews continue to battle a large brush fire above the highway in Māʻalaea near the Kūihelani Highway intersection. 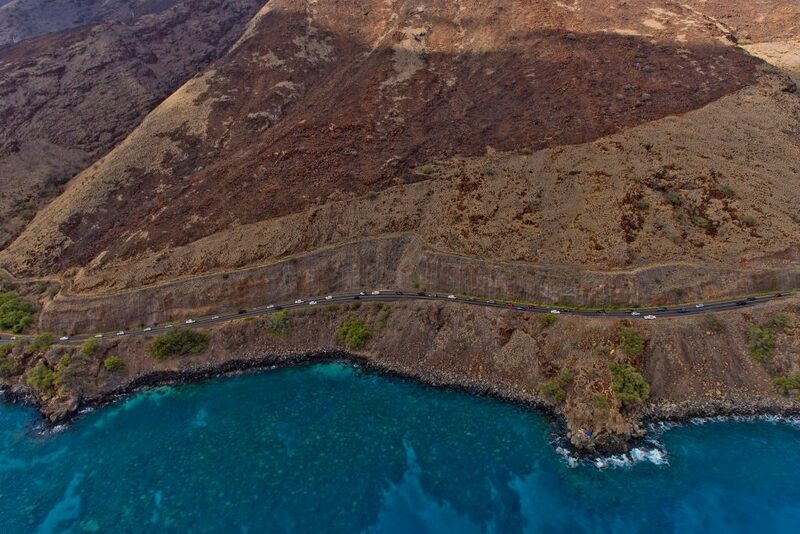 The highway is closed between Kūihelani Highway and Māʻalaea Road and is also closed at Mile 14 in Olowalu. The initial closure went into effect at around 1:44 p.m. on Saturday, July 2, 2016. 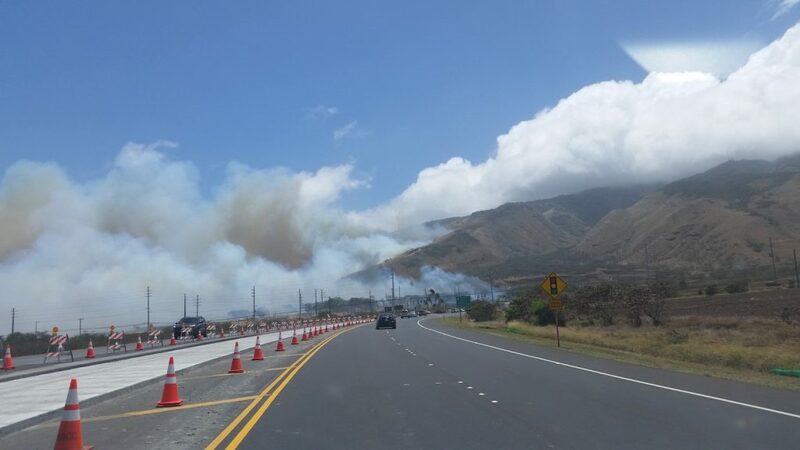 Update: 4:19 p.m.: The Honoapiʻilani Highway remains closed in Māʻalaea between Kūihelani Highway and Māʻalaea Road due to ongoing firefighting operations. 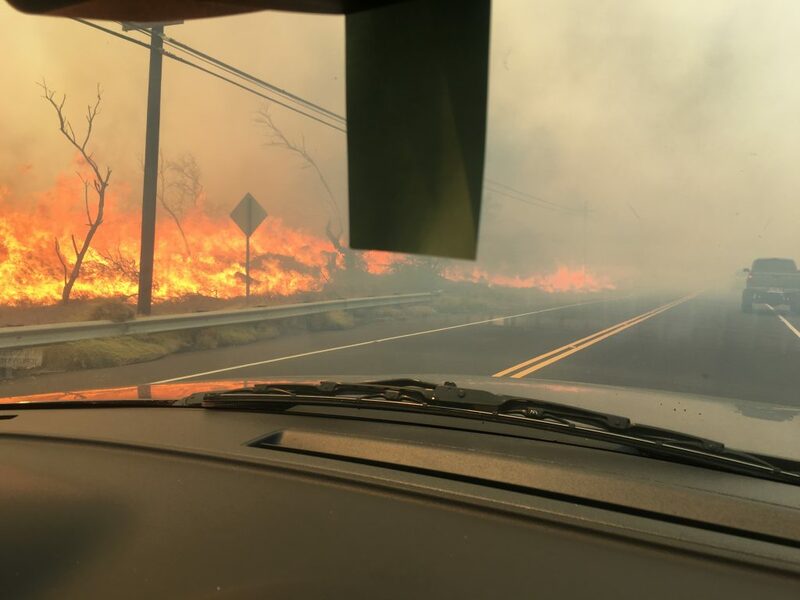 The Honoapiʻilani Highway is also closed at Mile 14 in Olowalu. The initial closure went into effect at around 1:44 p.m. on Saturday, July 2, 2016. 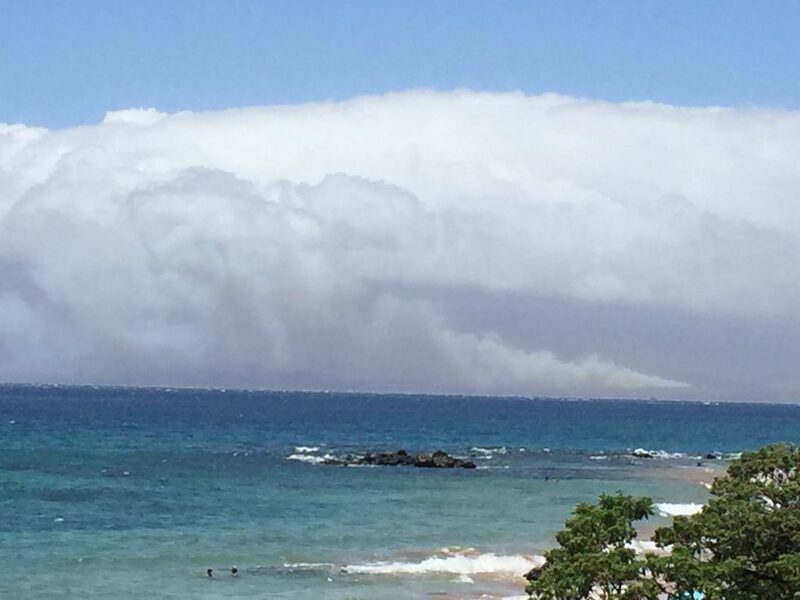 Motorists tell Maui Now that the smoke is so thick in the area that visibility is severely limited. Motorists are asked to drive with caution and avoid the area until further notice. 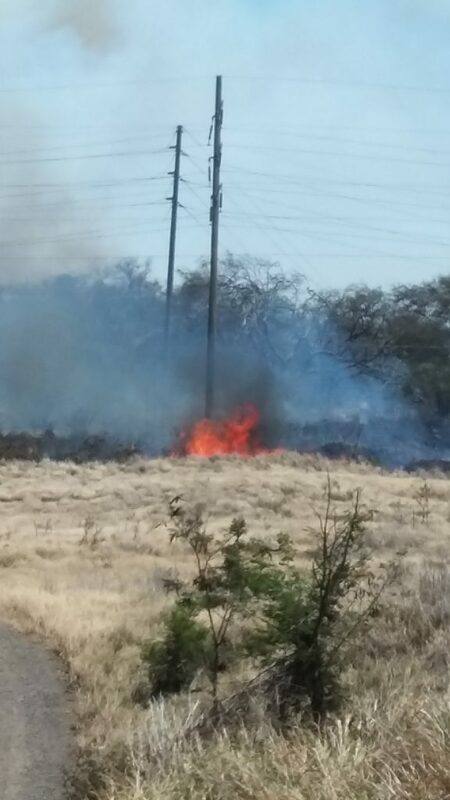 Update: 5:52 p.m. 7/2/16, During a period of high winds and a massive brush fire in the Māʻalaea area, at approximately 1:54 p.m. today, July 2, about 16,000 customers in parts of Kīhei as well as from Māʻalaea to Kapalua experienced a power outage. 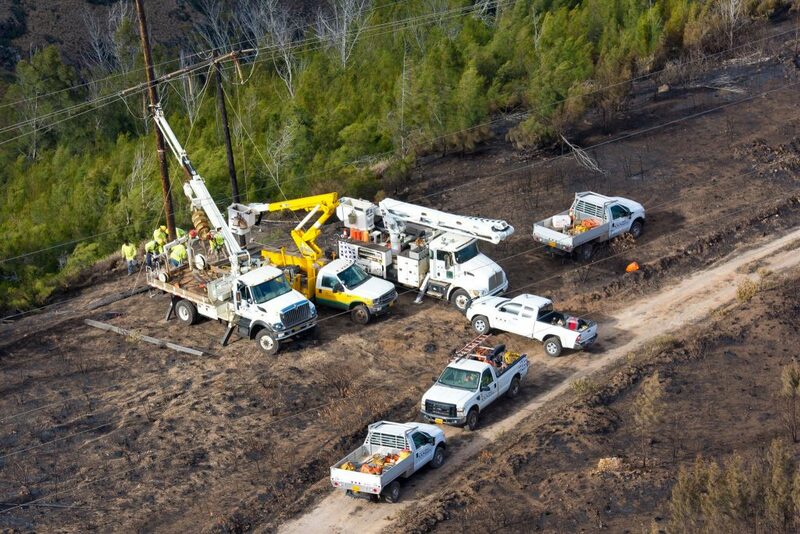 A majority of customers were brought back online by 3:16 p.m. with all remaining customers restored by 4:26 p.m. 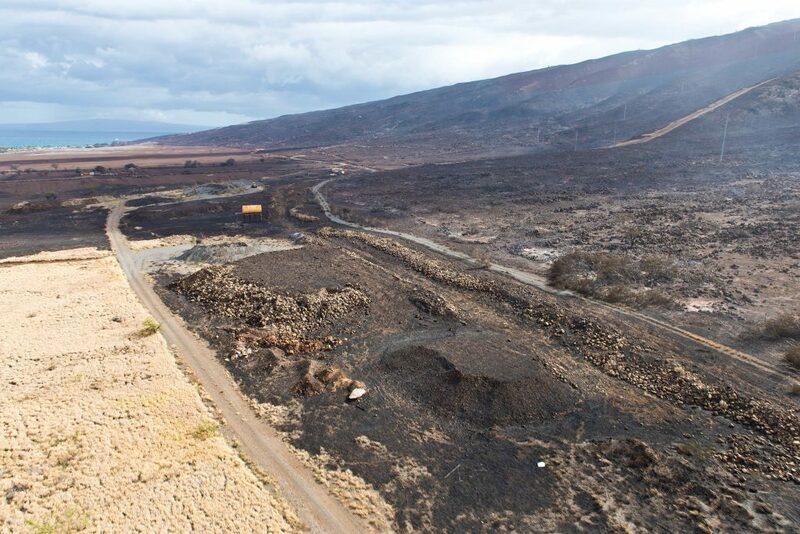 While the brush fire is in close proximity to Maui Electric’s Māʻalaea Power Plant, the location is safe and secure, according to company representatives. 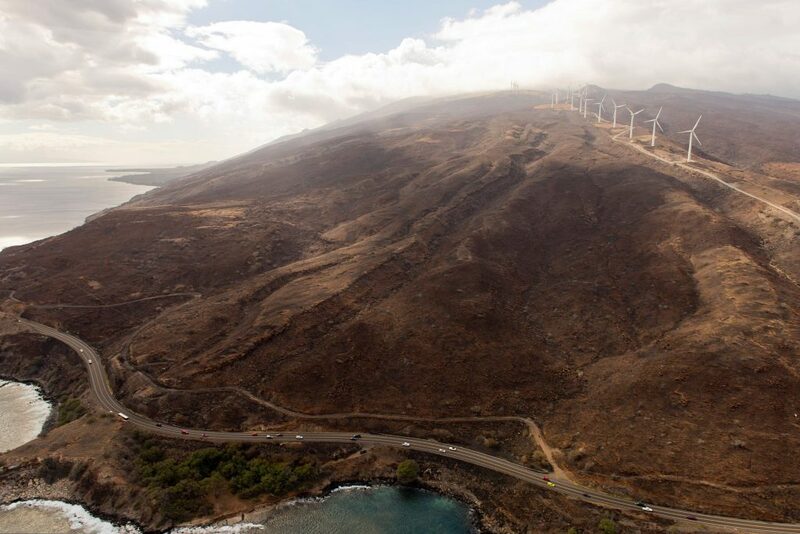 The widespread outage was due to a combination of the brush fire, and gusty winds that caused an electrical line to break, Maui Electric representatives said. 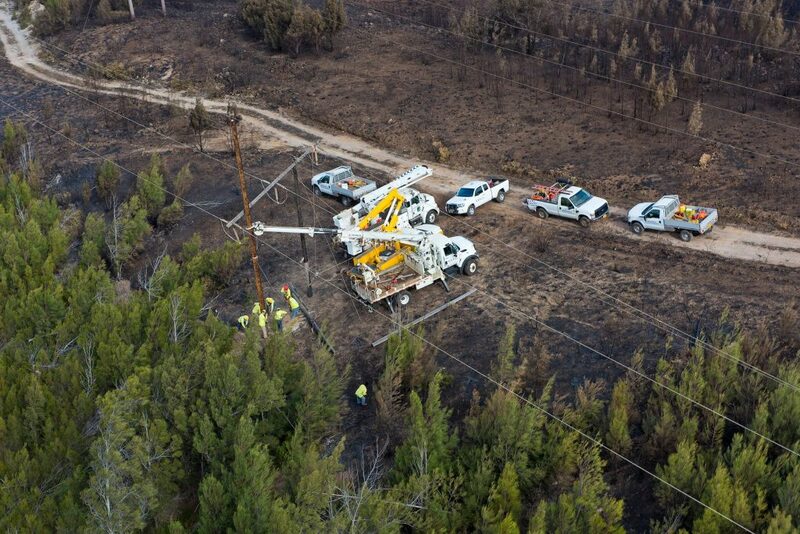 Maui Electric thanked the community for their patience and understanding as crews worked to safely restore power as quickly as possible in today’s conditions. Update: 4:33 p.m.: Maui Electric company has restored power to all customers as of 4:33 p.m. following an outage in West and South Maui. 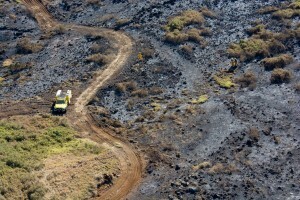 Company representatives thanked the public for their patience. 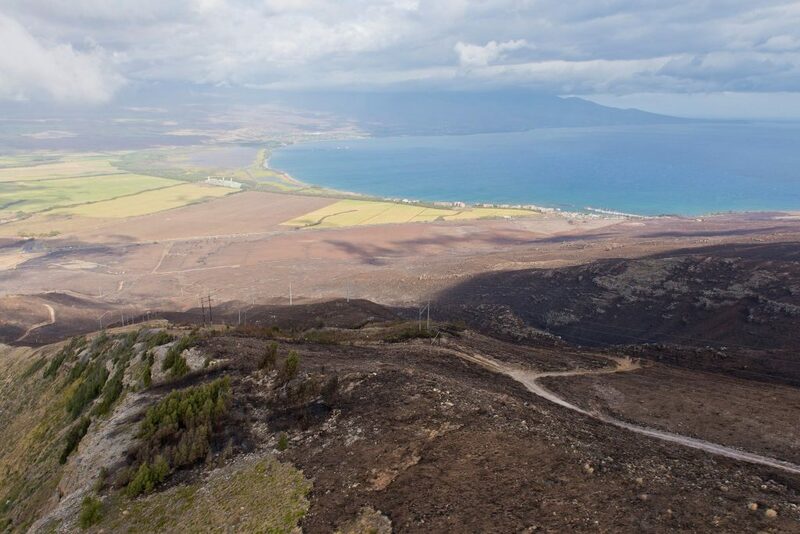 An initial notification was issued at 2:30 p.m., and partial power restoration was reported at 3:45 p.m. as crews continued to work on restoring power to the Nāpili area. 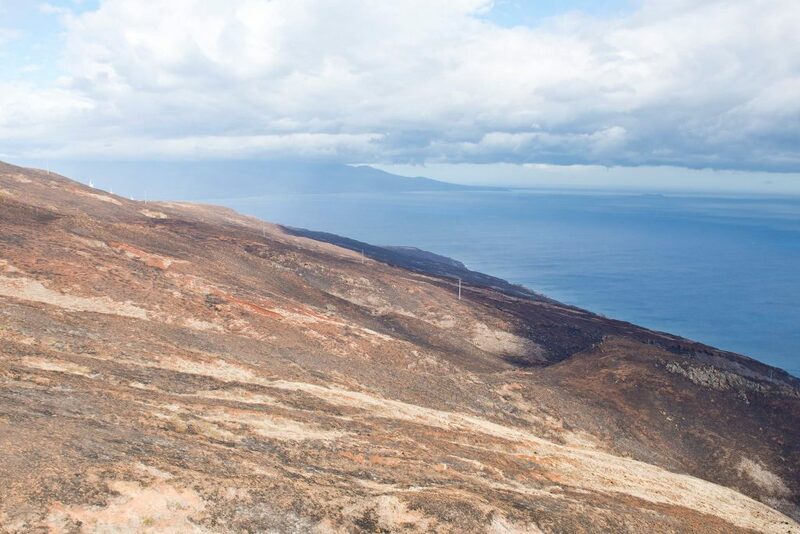 Resident Shaun Stodder and his wife Madison were driving home from west Maui when they saw two distressed horses trapped in the field that was on fire in Māʻalaea. Stodder said his wife made him stop and proceeded to jump the fence with two ropes and catch both of the horses. According to Stodder, fire fighters cut the fence down and the couple was able to cross the highway and get the horses to safety. Stodder tells Maui Now that the owners showed up shortly after and had a trailer on the way to pick up the horses. 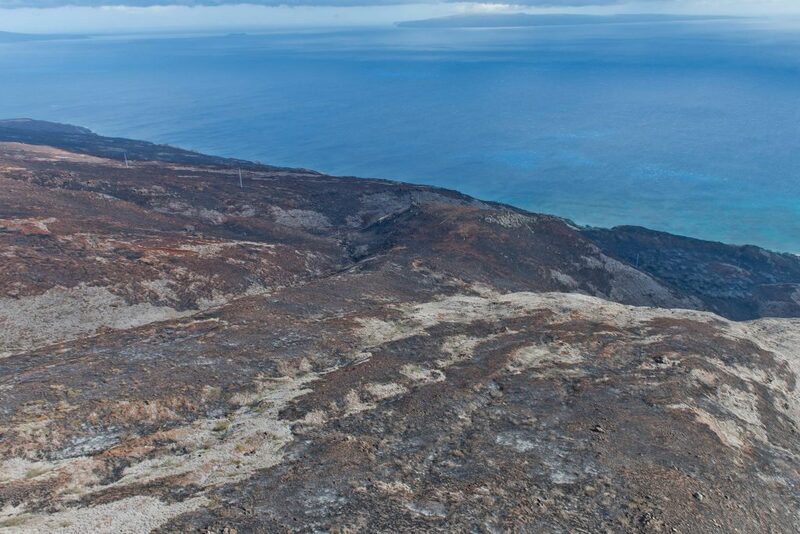 Māʻalaea fire. Sunday photos July 3, 2016. 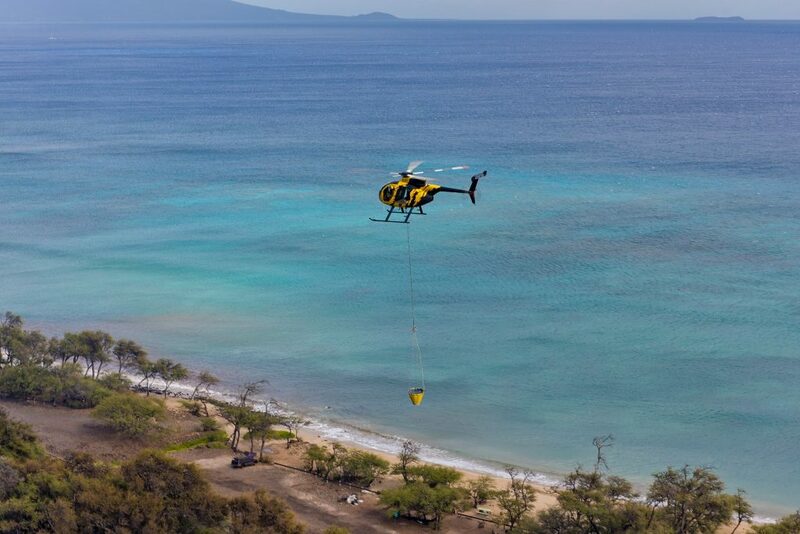 Photos courtesy: County of Maui, Ryan Piros. 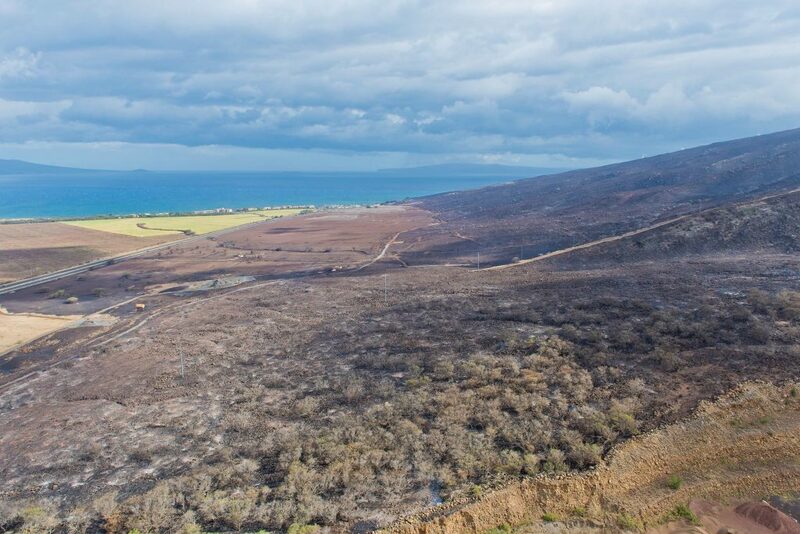 Māʻalaea fire 7/2/16 Photo credit: Ryan Smith. Māʻalaea fire 7.2.16. Photo credit: Nicole Rosa. Māʻalaea fire 7.2.16. Photo credit: Kevin John Olson. Māʻalaea fire 7.2.16. Photo credit: Tenessa Cavitt. Māʻalaea fire 7.2.16. 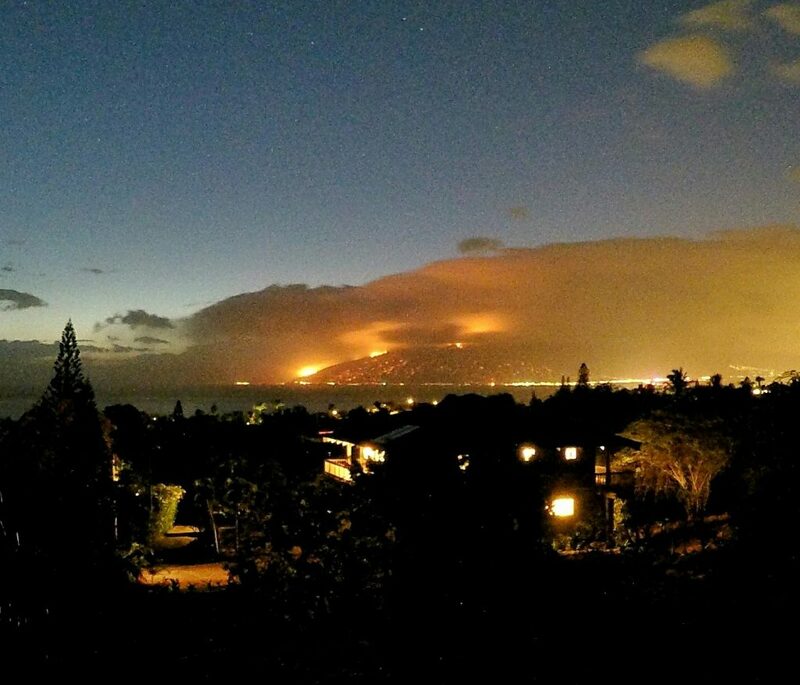 (vantage from Wailea) Photo credit: Nicole Schenfeld.